Minuteman E26 is the new and innovative walk behind scrubber for today's green cleaning and increased productivity. The E26 with advanced technology, new green clean features and the revolutionary Aqua-Stop. 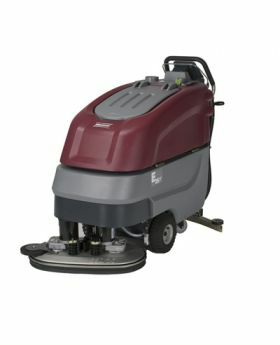 This automatic scrubber has a 26" cleaning path that covers up to 26,000 square feet per hour. The E26 is easy to use, easy to clean and ergonomically designed.